The World's Most Advanced Email Marketing System Ever Created Is Now Available For You To Start Utilizing Immediately, Today! Accounts Start For As Little As $10 Month! More Than Just an Autoresponder... It's a Full Email Marketing System! Calling the Sender email marketing system and software an autoresponder, is like calling the Mona Lisa just another picture. It's just not the same. What you're about to discover is the most powerful email marketing platform in existence today. Once you see exactly what it does, you'll instantly know you need it right now. You'll have access to the most state of the art comprehensive reporting system you'll ever see. 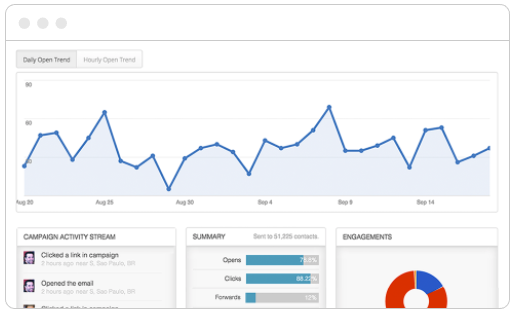 Automatically every little detail and statistic about your email subscribers. Sender fully integrates with every major Social Media platorm, marking it easy for you to gain subscribers through your social media network. Sender allows you to automate every task regarding building your contact list. 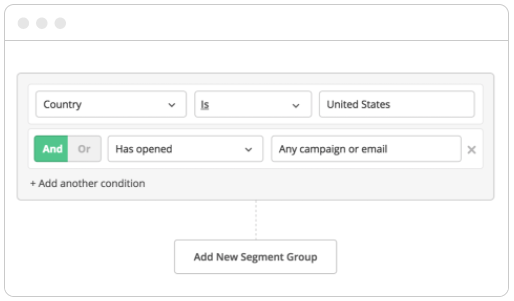 From Triggers to Segmentation, you'll never have to do it manually again. Email deliverability is of the utmost importance to us. We have full staff monitoring deliverability rates to make sure your message is received. No matter what your needs are you'll easily be able to integrate Sender into your current environment. Whether it's WordPress or a shopping cart, the sky's the limit. Sender gives you the choice of how to send your emails. If you want a text message, utilize one of our beautiful html templates or even create your own custom template. You'll have access to the most start of the art comprehensive reporting system you'll ever see. Automatically every little detail and statistic about your email subscribers. Create Your Sender Account Right Now! Start Using Behavioral Marketing In Your Business Today! We know you've spent years of hard work and spent considerable money to build your email list. Therefore we don't want to you to have to start all over again. Unlike other systems, we allow you to migrate and import your existing email lists into Sender. We do not require a double optin to do so like some system do. 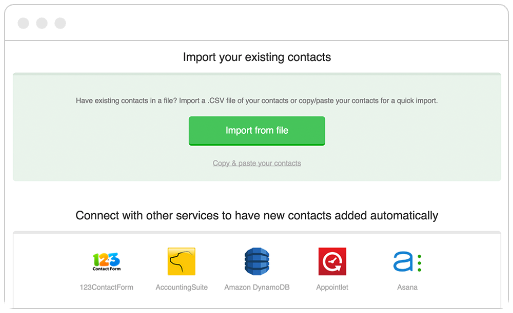 As long as they are a built list and NOT BOUGHT, then you can import your current contact lists. With Sender, you can literally watch in real-time as your prospects and customers interact with your email messages. See not only that your email is being opened but also see EXACTLY who is opening them and where they live. Our drop pin map technology lets you see everything as it happens which brings a level of excitement to your marketing promotions. One of the most powerful features we have is the ability to target prospects and customers based up their actions and in-actions. In today's world of marketing, this ability is the Holy Grail of engagement. Most system have no clue on a features like this, yet it's the corner stone of what we do. Integrate With an Unlimited Number of Systems Right Now! So Many Features and So Little Time... These Are Just a Few! We Have All The Features You Would Ever Need To Run Your Online Business!